The Canadian navy ship HMCS Charlottetown lost a drone during a mission to the Arabian Sea last year, CBC New has learned. A Royal Canadian Navy frigate lost a drone during a mission to the Arabian Sea last year, CBC News has learned. According to the confidential military report, obtained under the Access to Information Act, the Scan Eagle drone was deployed on a mission on HMCS Charlottetown in the Persian Gulf in June 2012. The navy's significant incident report said the spy vehicle fell into the ocean on a night mission during an engine failure. "Ditched into the open ocean from a height of 1900 feet," reads the report. The reason for the engine failure is unknown. There were no boats nearby. The report makes no mention of looking for or finding the drone. Six months later the Iranian military announced its navy captured a Scan Eagle drone. They wouldn’t say when or how they accessed the drone, but they said it was American. U.S. officials immediately denied it lost a drone. Steven Staples, the head of the Ottawa-based Rideau Institute, said the intact drone was likely fished from the sea. He said if it had been shot down or hit land it would have been shattered. "It raises serious questions, is the drone that the Iranians have a Canadian drone?," he asked. "You’d imagine there would be some kind of identification, at least a serial number or something like that, on a drone like that that could be traced. Of course, we’ll probably never be able to get into the Iranian showroom to find out." 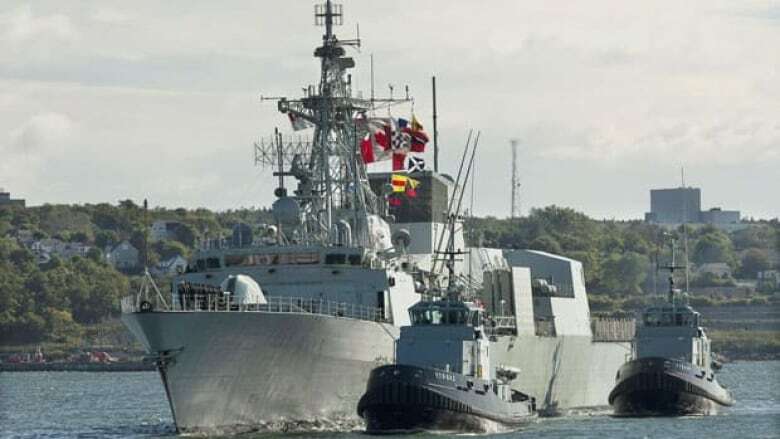 A navy spokesman in Canada said connecting the found drone to the one lost off HMCS Charlottetown would only be "speculation." The American-built Scan Eagle was tested by the Canadian navy last year.